The young Mycroft Holmes is now a force to be reckoned with at the War Office, although his brother Sherlock continues to be a source of vexation. 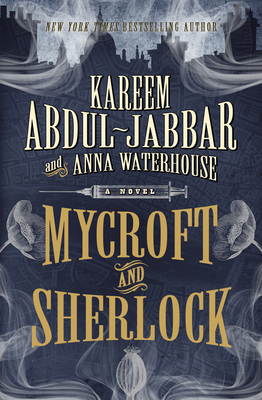 When a young boy dies of a suspected overdose at an orphanage, the two brothers - along with Mycroft's closest friend Cyrus Douglas - are drawn into an investigation that will reveal nefarious dealings at the heights of the British establishment. Kareem Abdul-Jabbar is a huge Holmesian--7'2" tall, basketball's all-time leading scorer, and a U.S. cultural ambassador. He's written extensively, including What Color is My World (children's), Brothers in Arms (military history), and On the Shoulders of Giants (black history). His novel Mycroft Holmes, starring Sherlock Holmes less well known but far more talented older brother, was published in 2015. Anna Waterhouse has sold and/or optioned several scripts, consulted on a feature-length doc for HBO, was supervising producer/co-writer of Netflix/Showtime's "On the Shoulders of Giants",&#8203; which won an NAACP Image Award for best documentary, has taught screenwriting at both Chapman University and at U.S.C., and is currently working on a limited series with acclaimed writer Robert Towne.